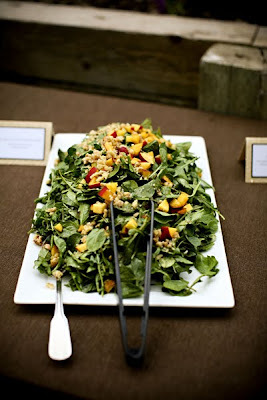 I had a meeting today with a possible caterer for one of my upcoming weddings. Consequently, all I have thought about tonight is food! I have just polished off a hot brownie/ice cream dessert and I am now pulling photos of food. 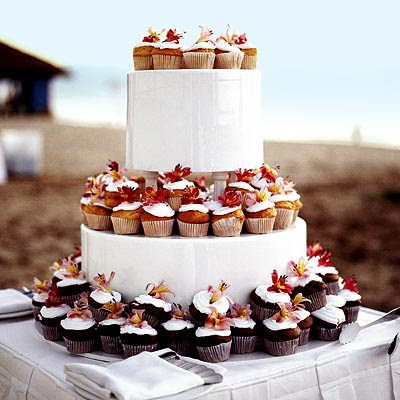 Cupcakes instead of a groom's cake??? 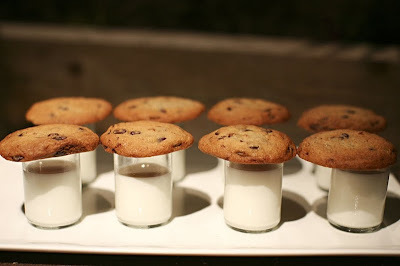 While meeting with another caterer on Friday (for a different bride), we decided on cookies and milk for the dessert bar. I think I like this better than the idea of mini 100 calorie milk cartons with straws. 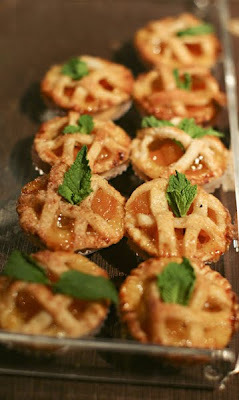 I have just the wedding for these mini pies!!! 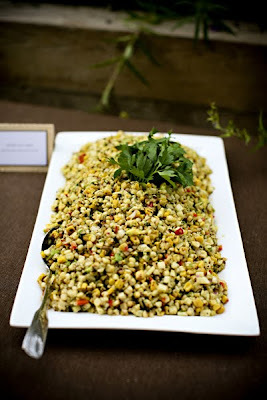 Perfect for a southern menu! 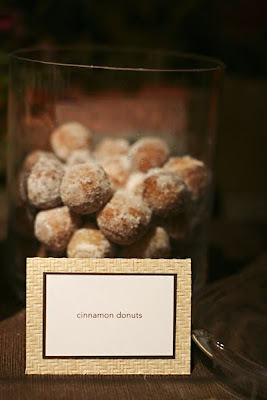 All photos were found on my new favorite blog...JL Designs! Check it out...so cool!! !